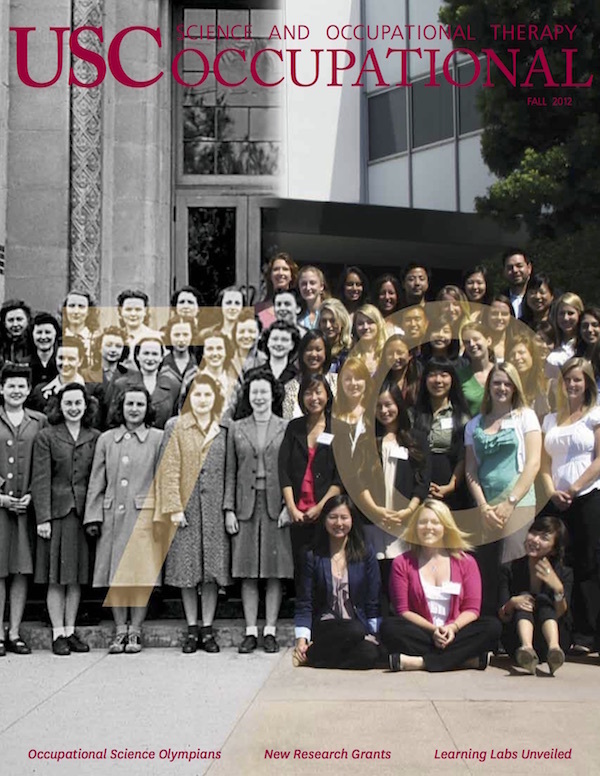 Celebrating seven decades of creating leaders, shaping the profession, and building better lives with a visual history of USC Occupational Therapy. 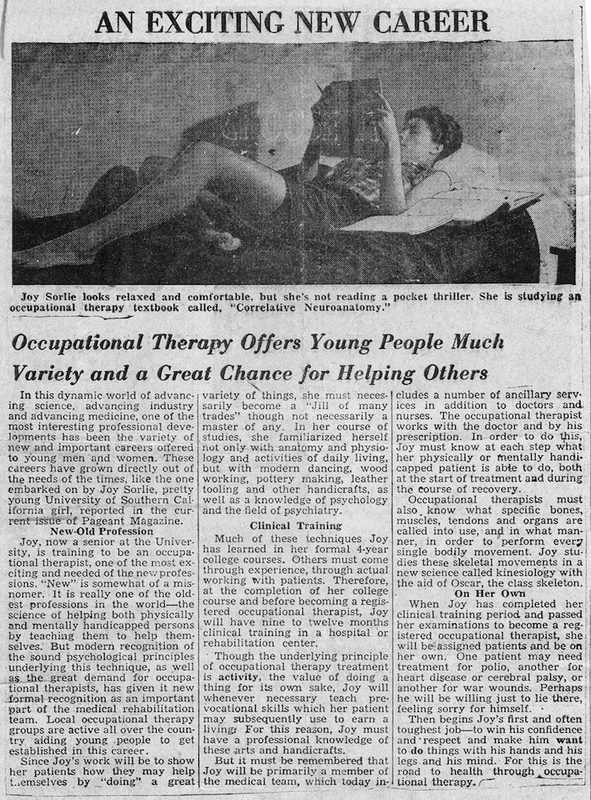 Occupational Therapy was born at the University of Southern California in 1942 under President Rufus B. von KleinSmid, and in the seven decades since has grown to become an international leader in education, research, professional service, and patient care. With the 2010 appointment of President C. L. Max Nikias, Trojan Occupational Therapy has now been witness to seven USC Presidents. Trojans have a long tradition of advocating on behalf of the profession. Student Joy Sorlie poses with her neuroanatomy textbook for an article published in the September 18, 1953 edition of the Bennettsville (South Carolina) Herald-Advocate newspaper, praising the promises of a career in occupational therapy. 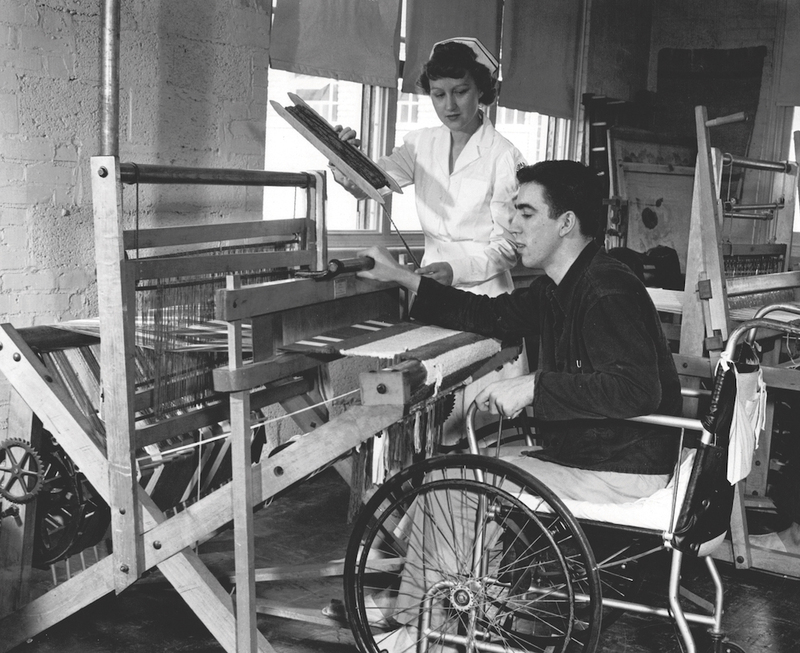 A young man works from his wheelchair at the weaving loom under the watchful eye of an unidentified therapist. 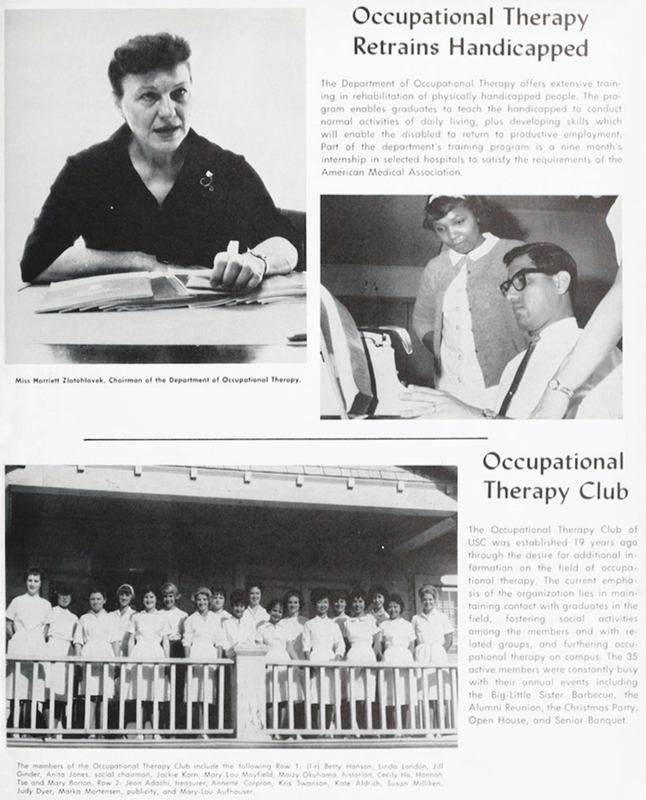 The 1964 edition of El Rodeo, USC’s yearbook, features Department Chair Harriet Zlatohlavek and the Occupational Therapy Club. 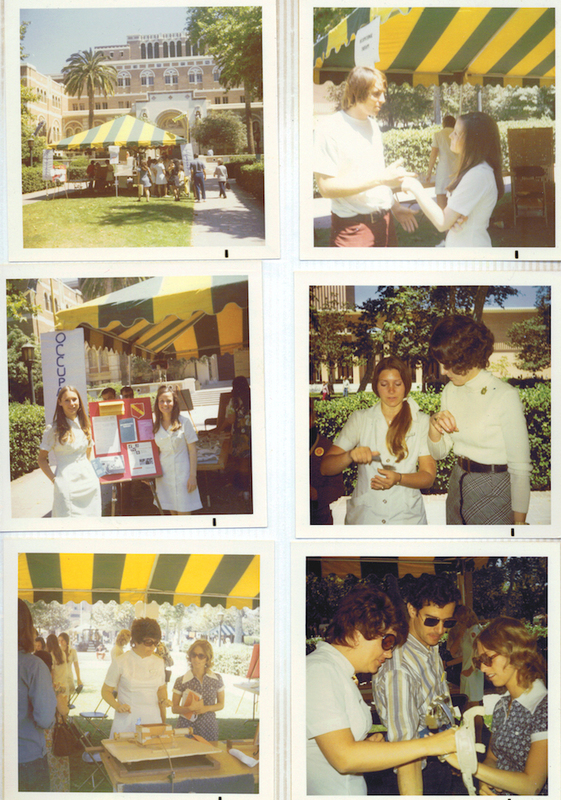 Students educate their fellow Trojans about occupational therapy, including a demonstration of potential uses for an adapted spoon, at the 1969 ‘OT Fair’ in Alumni Park on the University Park Campus. 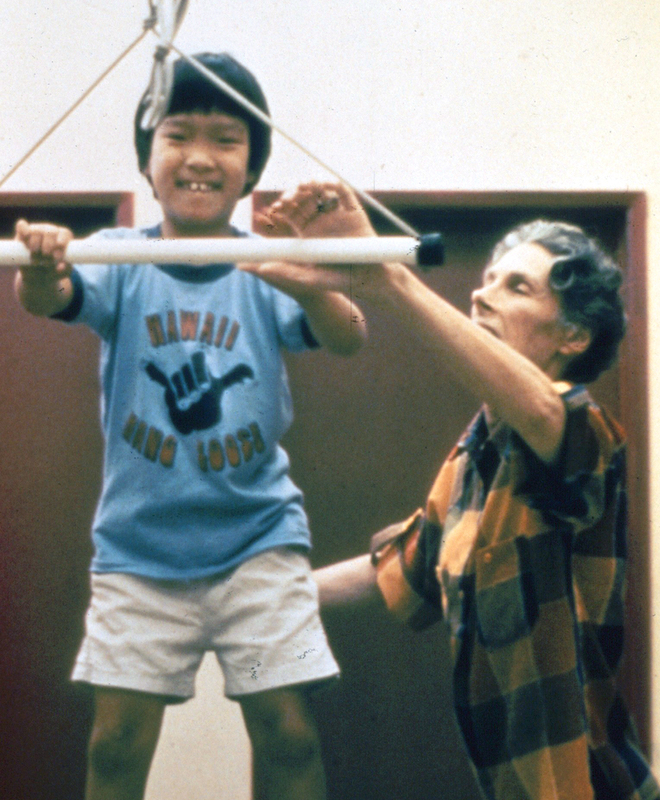 In the 1970s and 1980s USC Occupational Therapy was synonymous with Rancho Los Amigos Hospital, located in nearby Downey. 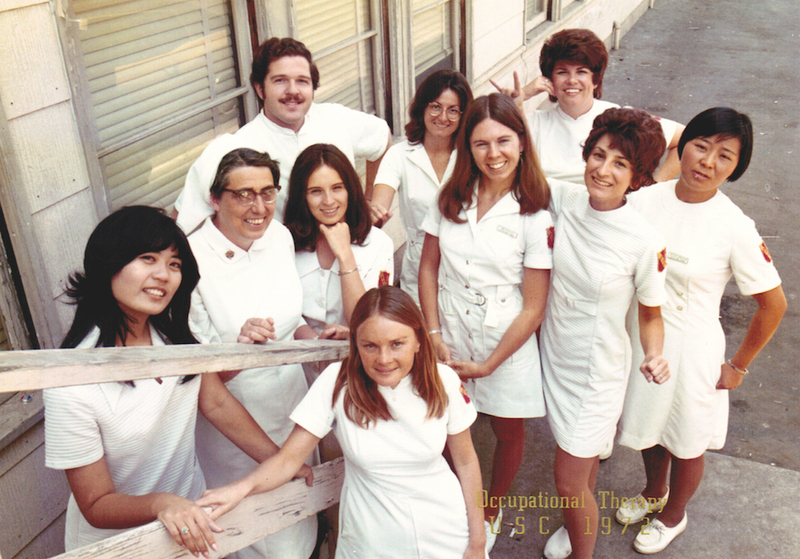 The Department of Occupational Therapy was relocated to “Rancho” in 1972 where it remained 16 years until moving to the USC Health Sciences Campus in 1988. 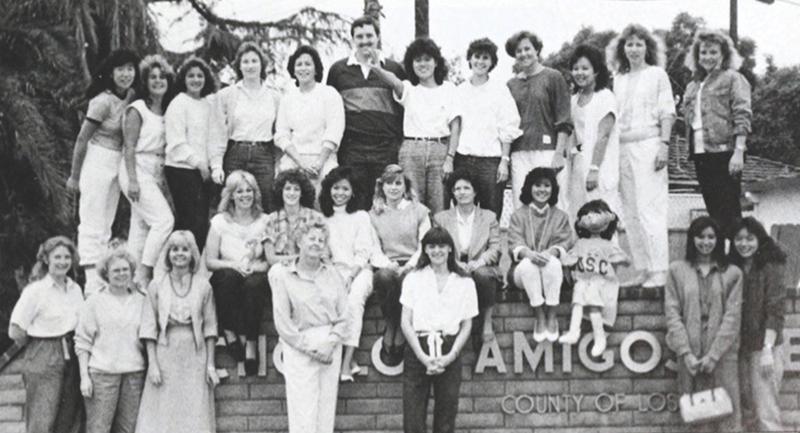 Students and faculty surround the Rancho Los Amigos Hospital entrance sign for a photograph published in the 1987 edition of El Rodeo, USC’s yearbook. 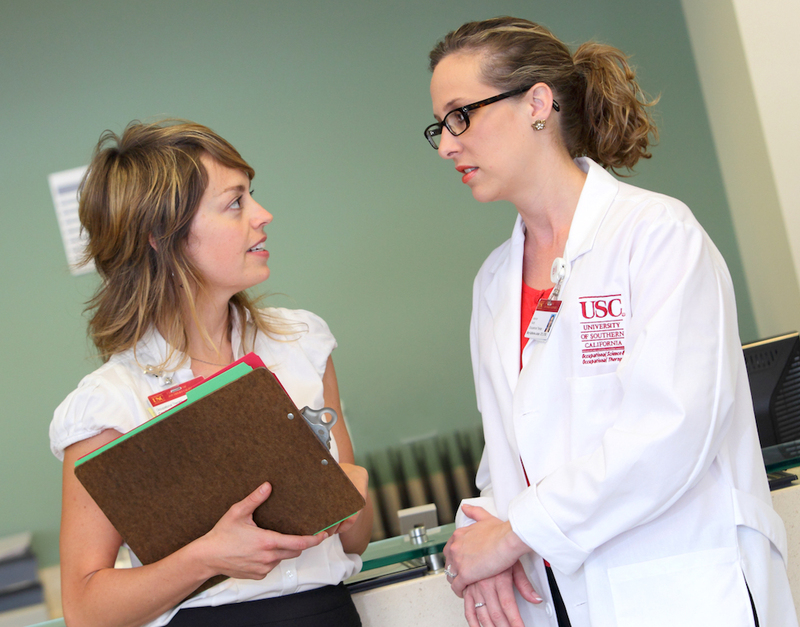 The past two decades at USC can be characterized by constant expansion driven by visionary leadership. 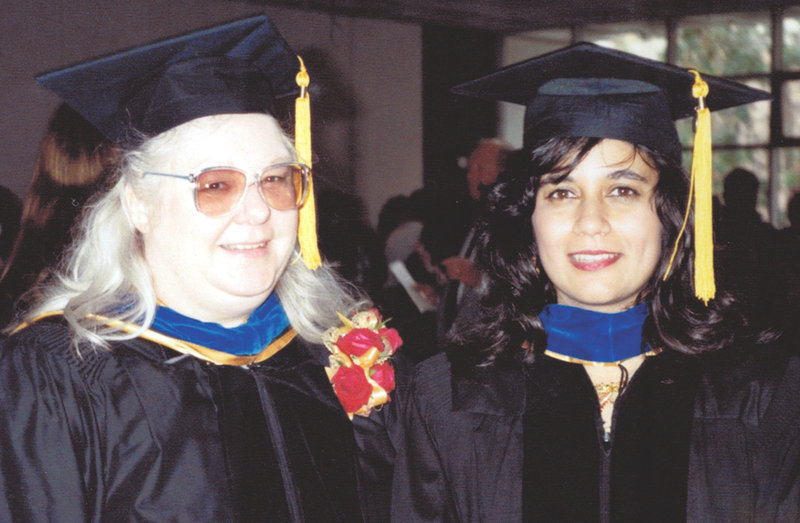 Dr. Elizabeth Yerxa is widely credited with leading the formation of the Occupational Science discipline and its corresponding PhD degree program as Department Chair during the 1980s. The first Occupational Science PhD graduate Sheama Krishnagiri (right) with her dissertation advisor Dr. Ruth Zemke (left). 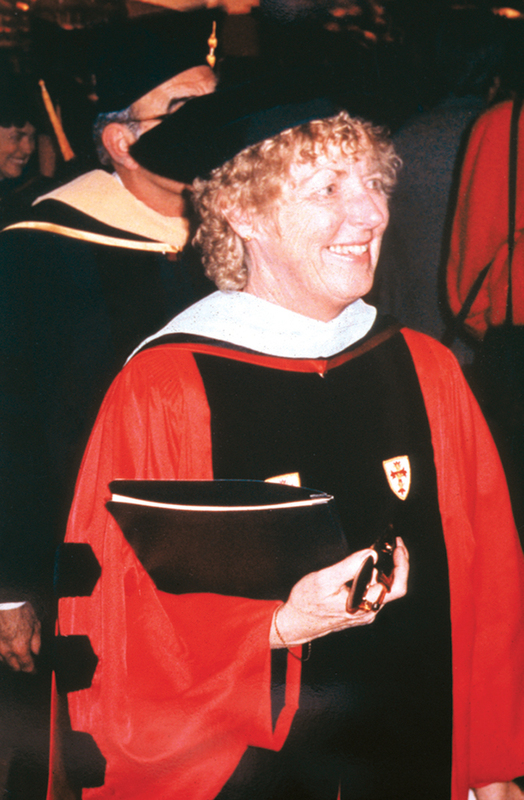 Florence Clark is named Department Chair in 1988 and under her leadership USC significantly increased federal grant funding for research and educational programs. 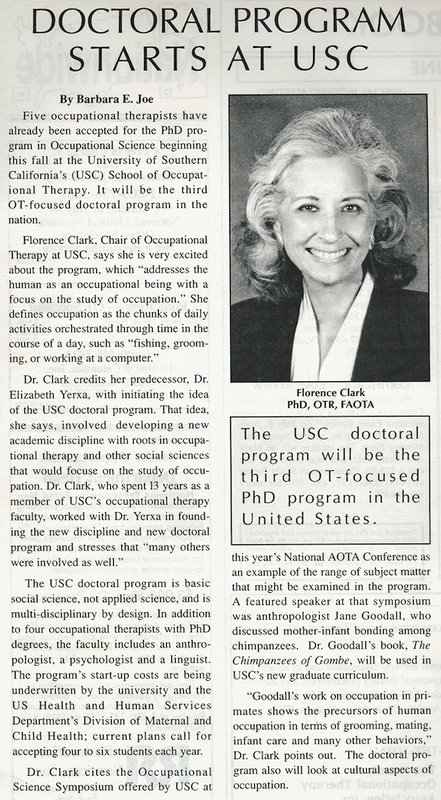 The first Occupational Science Symposium was hosted in 1988 to celebrate the new discipline. 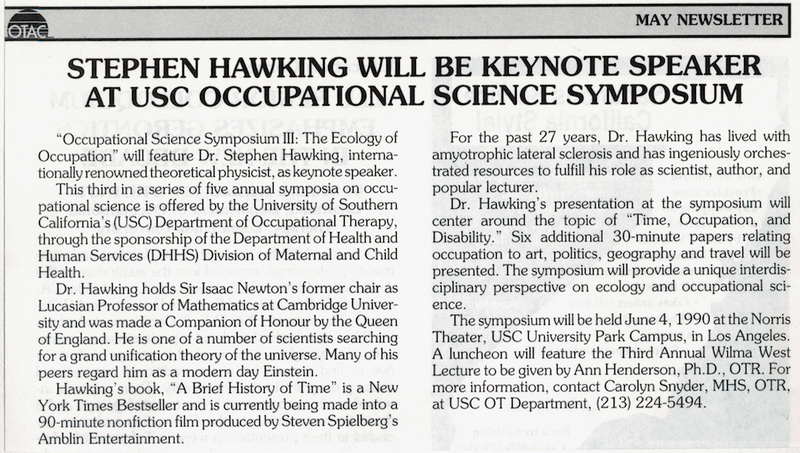 Among the 23 renditions of the Symposium since, the 1990 event was highlighted by a keynote lecture from world-renowned cosmologist, physicist, and author Stephen Hawking. 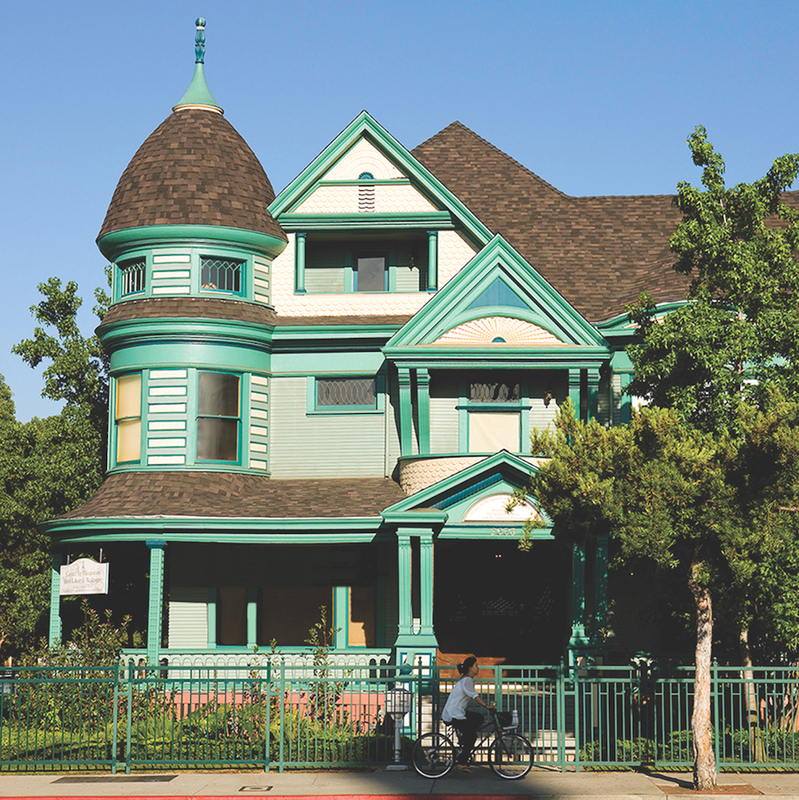 The Center for Occupation and Lifestyle Redesign® is opened in 1999 as the world’s first center dedicated to the study of how everyday activities shape human health and well-being.